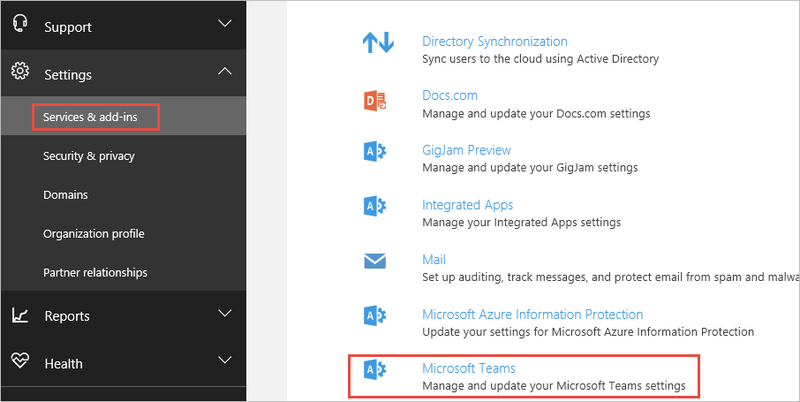 Recent updates to the Office 365 admin experience include a new OneDrive for Business admin center, new settings to manage Microsoft Teams and GigJam, and improvements to the new Service health dashboard. In November and December, our efforts focused on enabling admins to manage new workloads and improving the monitoring and the OneDrive administration experience. Over the past year, OneDrive for Business has evolved at a rapid pace—introducing new features for users and IT admins—across sync, web and mobile. As the number of users continues to grow, our customers have asked for an easier way to administer their company OneDrive for Business settings and policies. The new OneDrive admin center delivers on that, making it easier and more efficient to manage OneDrive for Business. The OneDrive admin center has started to roll out to first release customers and can be accessed at onedrive.com/admin while in preview. We plan to make the OneDrive admin center generally available in early 2017 and will add a link from the Office 365 admin center. Read the announcement for more information. 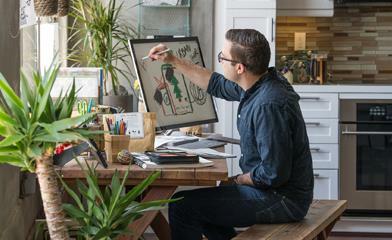 Microsoft Teams—in preview since November—is the chat-based workspace in Office 365 that helps teams achieve more together. Office 365 admins can now enable and manage Microsoft Teams directly from the Office 365 admin center. In the Services & add-ins page, admins will find a new Microsoft Teams section where they can enable the service for their organization, as it is disabled by default during the preview period. 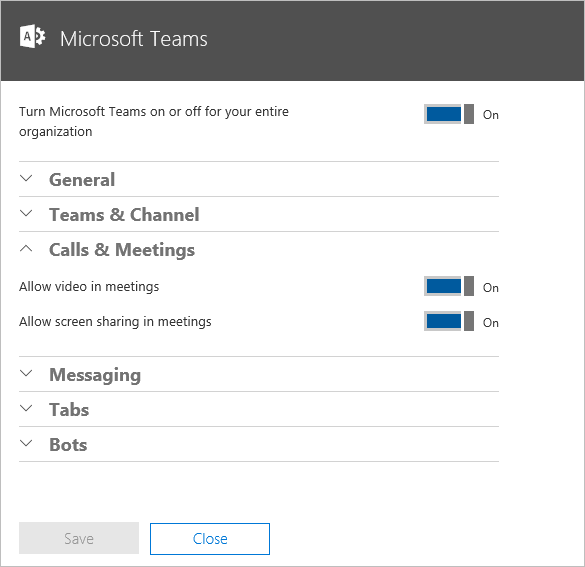 After enabling, admins can configure Microsoft Teams for their organization, including notifications, feedback, bots and screen sharing in meetings. GigJam helps you get work done across your network by sharing just the slice of information you want—with who you need—both inside and outside your company. GigJam—currently in preview—is off by default for organizations with Office 365. You can now enable GigJam directly from the Services & add-ins page in the Office 365 admin center and let your organization try using GigJam. The new Service health dashboard has started to roll out to First Release customers—providing admins with a new level of service health insights that are personalized for their organization. The dashboard makes it easier to identify relevant issues by separating major business critical outages from others and splitting them into two categories: incidents and advisories. A new summary view surfaces the most relevant and critical details and allows you to quickly understand the impact on your organization by showing the number of impacted users. 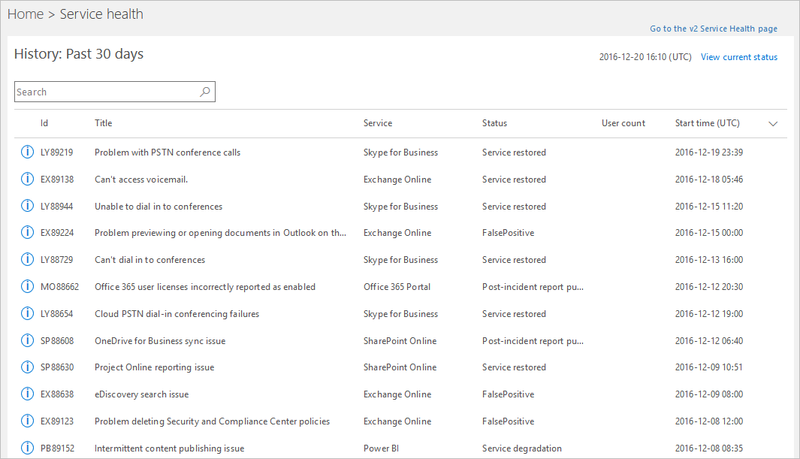 This allows admins to stay on top of service incidents, improve your internal support experience and improve the Office 365 user experience. Based on feedback from the preview customers, we’ve further improved the new Service health dashboard. A new rating option now enables admins to provide feedback on the accuracy and usefulness of the information of each post on the Service health dashboard. In addition, admins can now access the full history view of each message that provides access to all previous posts by clicking Show details. Admins can also now also access a searchable history view that displays all incidents and advisories from the past 30 days. We’re planning to roll out the new dashboard to all admins in February 2017. In the coming months, we will add more reports that focus on which clients are used to access SharePoint, OneDrive for Business and Yammer. We are also working on making the Office 365 adoption content pack in Power BI available to all customers and providing new public APIs that will enable you to programmatically access the usage data and integrate it into custom applications, like a company reporting portal. Try the new features and provide feedback using the feedback link in the lower right corner of the Office 365 admin center. And don’t be surprised if we respond to your feedback. We truly read every piece of feedback that we receive to make sure the Office 365 administration experience meets your needs. Please note: The features mentioned in this blog post have started to roll out. If they are not available yet in your region, for your subscription or for your organization, please check back in a few weeks!